Contractor 20/20 understands HVAC and plumbing profitability growth. We understand the key profit indicators (KPI) of your business, and we know how to balance them so you can achieve 22% net profit. We have accomplished this for many companies and we can accomplish it for you. An exception would be if your company was located in a town whose economy was based around one particular company. For example, if the GM plant in your town closed and left half your town unemployed, our research has shown that until supply and demand returns to a normal balance, it is impossible for any contractor to achieve high profits. However, 22% net profit is achievable. Twenty percent net profit means sending your kids to college, growing your business, having a retirement nest egg, and being able to give to charity. A business that is profitable is an asset to the community, and we are in the business of helping companies reach their profitability goals. Contractor 20/20 offers extensive expertise in determining what’s working and not working for your company. We know how to increase customer retention and get new customers calling, so you have the money needed to invest in the marketing and profitability strategy that will ultimately grow your business. We discuss your goals, history, and potential in detail to determine your profitability and growth goals. Who are you? What is your vision? Do you have an immediate need now? What have you done in the past to build your business? What has worked? What hasn’t worked? We want to hear about what your market experience has been like. And then we want to vision cast with you to determine where you would like to be in the future. Even though Mike and our team have had this discussion with countless plumbing, HVAC, and electrical clients, we never grow tired of hearing from men and women who are passionate about their business. And because we have had this discussion with countless plumbing, HVAC, and electrical clients, we have become experts. We are experts at helping contractors develop realistic, sustainable, and exciting visions, goals, strategies, and tactics. This will all lead to a legacy that is unbeatable. Not only is Contractor 20/20 a marketing and advertising firm, but we are also a marketing research firm. Using a set of research surveys and studies, we are able to identify trends, red flags, and potential growth opportunities. Then we take this research and analyze it against your company’s KPIs. For more detailed information about our different research surveys and studies click here . 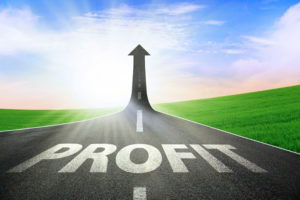 We have this great profitability tool we call the Executive Dashboard System. It helps you track the nine key numbers that identify (KPIs) your cost saving and sales increase options. We study costs, labor, material, overhead, average sale, hourly efficiency, customer service representative and technician closing rates, and technician average tickets. Mike and his team walk you through collecting and tracking this information, and the Executive Dashboard helps you record your numbers on easy to use worksheets. After tracking the numbers, Mike and his team are then able to compare your numbers with the research we have collected. We analyze the numbers, explain the relevance of each result, and then explain to you where your company falls and what needs to change in the numbers to get you to 22% net profit. In the past 3 years alone, we have studied the financials of over 200 companies in 25 states and Canada. Contractor 20/20 has also conducted and analyzed consumer awareness and market share studies for the same. With 30 years of experience, we are able to help you understand your numbers, how they relate, and coach you to the next level in your business. Once we have analyzed the data, we are then able to present to you a comprehensive marketing plan. After analyzing your past marketing results, and considering your competitive strengths and weaknesses, we are able to determine your best marketing position, and shape your company today so you can become the company you want to be two years from now. With the research we have collected, we know who your best customers are and, after tracking your numbers, we know where your budgets fall. We are then uniquely positioned to develop budgets and the creative scripts necessary to achieve your goals. We know where your best customers live, and we know what kind of direct mail piece, radio ad, television ad, internet marketing, and specialty marketing product will attract your customers. We are also able to help you brand your company so that you retain and attract the right kind of customers that will grow your business. After you’ve received our recommendations you will probably be wishing you had met Mike and his team when you first started your plumbing business. The good news is that it’s not too late, and we can get you started on the path to higher profitability. Make the decision today and let Contractor 20/20 turn your business into a profit center for years to come. Call Contractor 20/20 and get us on your team today. For excellent resources on a variety of topics that effect profitability (like flat rate vs. hourly rate, performance pay, labor rates, and the relationship between profitability, advertising, and price) visit our Resource Library—it’s free for you to look at and learn from! How should marketing be adapted to be more profitable? The best way to increase the profitability of your marketing is with research. Instead of marketing to specific zip codes, you should be marketing to particular people! Using research, we can determine who in those zip codes will most likely respond to your marketing. Why e-mail the whole zip code when only a percentage is likely to respond? Is it also important to research and test your messaging? Everything from our Message on Holds to our direct mail has been researched, tested, and proved. Marketing can be just sending out a postcard to specific zip codes you want to target. However, marketing can also be sending out a tested and proven postcard, to your researched-best potential customer, at the right times of the year. How should marketing be adapted to be more profitable? It should be tailored to the research.